It was the first game in the new World Cup cycle for the United States and the stars and stripes managed a 1-1 tie versus a reserve Chilean side. But that's okay. The US team was also made up of mostly reserves: MLS and Scandinavian-based players. It was another chance to watch Shea, Diskerud, McCarty, Bedoya in the midfield and another chance to look at the possible future of the US attack in Agudelo and Bunbury. It was a fun game to watch and also a great way to meet the young lads. Back in December, a similar group of players confronted the Bafana Bafana in South Africa for the Nelson Mandela Cup. 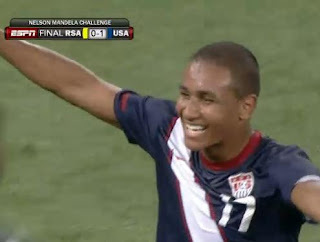 The game was also fun to watch and it ended on a positive note: a great play by Diskerud and Agudelo that ended with the 17-year-old scoring in his first international game. The Chile game in Los Angeles provided more glimpses of Diskerud in action. He was clearly one of the top players on the pitch. McCarty was probably the best for the US and Bedoya had a slow start but got better as the game went along. The defense was a bit of a let-down. Yes, Ream and Gonzales paired up well and Lloyd and Franklin were able to join the attack in the first half. Unfortunately, Marvell "la Maravilla" Wynne had tense moments and questionable judgment that created Chile's opening goal. He will need to work on his decision-making if he is to remain a viable option for the US. Rimando performed well at the goalkeeper position but his age and place in the pecking order at the moment does not make him a top 'keeper for the US. Sean Johnson didn't do much in the second half and the goal wasn't his fault. We hope to see more of him in Chicago. Still early, but he has the tools to succeed. Bradley started the match with a 4-2-3-1 formation reminiscent of the setup for matches post-World Cup. It wasn't the 4-3-2-1 from the Edu-Bradley-Jones mess but it was a way to leave a lone striker with support from attacking midfielders. Brek Shea had some good moments but his first touch was still lacking. Putting Wondolowski up top (top MLS scorer in 2010) was an interesting move, but the San Jose lad never played the lone striker role so his actions were muted by this handicap. Diskerud and McCarty found him a couple of times but he needed a partner. Enter Agudelo and Bunbury. You could tell these two were hungry for action as soon as they hit the pitch. That the US was trailing 0-1 on the scoreboard only added to their actions. Bedoya found them constantly along with Diskerud and they created important chances. 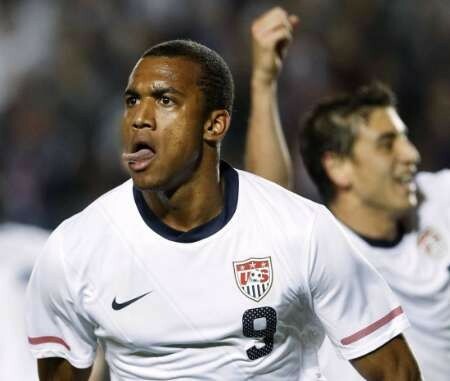 It was Bunbury's speed and Agudelo's ability to run at the defense that allowed for the Americans to tie the game. It was Agudelo, in fact, that created the play that drew the foul for Bunbury's tying penalty. It was easy to see that Agudelo wanted to take the PK himself. The Telefutura guys were claiming "barrio style" when Bunbury took the ball from Agudelo to take the penalty. It is the amateur decisions at this point that may have cost the US a possible win. Marvell Wynne's faults in the back and overeager playing by Shea and the strikers are merely symptoms of limited international experience. I still believe that Agudelo is an exciting player in the mold of Jozy Altidore and that Bunbury may be the new Charlie Davies. As far as the midfield, Bedoya, Diskerud and McCarty are only further deepening this position. In the back, the Gonzales-Ream tandem has the possibility of becoming the Bocanegra-Onyewu of the future. The lateral players are still up for grabs, however, but Sean Franklin has shown he has the tools to perform at right back. College drafts are as American as apple pie. They occur in every American sport and help to keep leagues competitive and level, or at least it is intended to do so. MLS is no different. The league has held a draft since its inception. Indeed, Brian McBride was the top pick in the Inaugural Draft. These days, however, the draft includes much more than college graduates; it is also comprised of international players, undergraduates and USA youth squads. This blog entry is not meant to talk about the actual results. For that, it's easier to read analysis on the MLS website and other outlets. Instead, I'd like to acknowledge the increasing amount of attention given to the draft this year, to its players, and to the league as a whole. 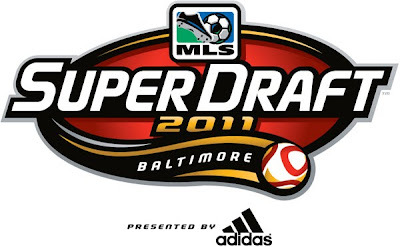 The first round was broadcast live on ESPN2 and ESPN3.com and the third and second rounds were shown on the leagues website. For ESPN, former MLSers and color commentators Alexi Lalas, John Harkes and Taylor Twellman provided interesting analysis and great arguments. Online, beyond the coverage on espn3, twitter and Facebook were both lit up with MLS draft coverage. Twitter, in particular, had Omar Salgado as a trending topic when the Whitecaps surprisingly chose him as the first pick. He's a U-20 US international that switched allegiances from Mexico (after being in their U-17 squad) and Chivas Guadalajara to join MLS. We will follow his career with great interest. Technology allowed me to follow the draft via smartphone and, subsequently, through the Internet (thanks, .edu domain!). I also must acknowledge that I was never appreciative of the draft itself, being more exposed to European and Latin American futbol. But, in a country and league that lacks promotion/relegation, it's the next best thing--and it may be growing on me. There was certainly intrigue involved today, last minute trades between teams, great fans present in Baltimore and more proof that this league matters. As for the top picks, aside from Salgado's surprise #1, is Akron's five players in the first round, Perry Kitchen's DCU destination and New York's move for John Rooney (yes, that Rooney's brother). DC United, in particular, have built up quite a midfield through trades and player academies. In 2011, they will have Najar, McCarty and Perry Kitchen. Something tells me they won't be allowing as many goals this time around. Portland and Vancouver should be fun to watch also. Portland may be getting Kenny Cooper, in addition to draftee Nagbe. 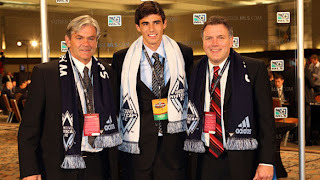 The Whitecaps now have Jay DeMerrit and Omar Salgado, the old guard and the new guard of US Soccer. Bring it on, MLS 2011! Manchester United may be on top and Arsenal close behind, but there is no denying that this season is a sign of revolution in the world's top league. If Liverpool's fall from grace last season and their inability to rise from the mid-table isn't enough then this season we have Chelsea with one win in 9 games. Throw in Aston Villa in the drop zone and the inevitable rise of Manchester City and we have a brand new revolution. Something similar happened in the German Bundesliga a couple of years ago when Wolfsburg won the league and Bayern Munich struggled to reach Champions League position. Italy, (except for Juventus' recent problems) France and Spain haven't changed much, although prior to Rijkaard and Ronaldinho's departure Villarreal was able to reach second place ahead of Barcelona. This is also commonplace elsewhere around the planet: Mexico, Argentina, Brazil, USA often see significant changes from season to season due to the more competitive nature of the leagues and where corruption can sometimes hinder a team's progress. But back to the EPL... What's going on? Aside from the significant capital that Man City has to work with and their impressive coach (Mancini), it's hard to argue against the likes of Balotelli, Carlos Tevez, Adebayor as your attacking front. 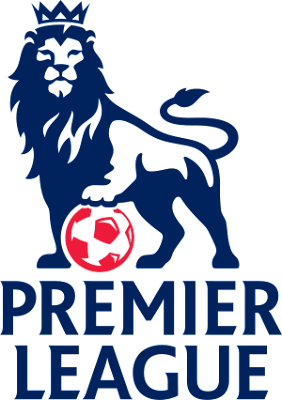 Tottenham Hotspur is another impressive squad that has shoved its way through by sheer grit and dedication from players and coaching staff. It is a more blue collar team, relatively speaking, than City, Man U, Arsenal, Chelsea, but still boasts players like Van Der Vaart, Peter Crouch, Ledley King, William Gallas. Their skipping over Manchester City and Liverpool allowed them a place in this season's Champions League. And what's going on with Chelsea? They are the reigning champs with Carlo Ancelotti as their coach and a mostly unchanged starting lineup... and maybe that's where the fault lies. Where Manchester United has rotated its squad and have given way to players like Javier Hernandez , Nani and Antonio Valencia, Chelsea still remains with Anelka, Drogba, Lampard, Cole, Terry, Malouda as their spine with seemingly little in the way of rotation. But the current state of the league does not stop with the scrambling of the top four--it reverberates all the way to the bottom of the table. Previously dominant mid-to-top table teams like Everton, Fulham and Aston Villa have found themselves digging out of relegation week in and week out. Dempsey and Tim Howard won't always be around to rescue their teams. Other squads like West Ham, Wolverhampton and Wigan continue to give way to the recently-promoted squads. So what is the diagnosis? Stagnation and bad management for teams like Chelsea and Liverpool. The ascent of quality clubs by way of sheer capital (Manchester City) or superb organization (Spurs). For the rest it is more about how the smaller teams have been able to close the gap and how previously-dominant mid-table squads have become stale and less inventive. Or is it just a matter of increased competitiveness and player talent? Either way, the spectacle is the ultimate winner. No longer do we have to wait for club competition to see a good match between teams like Blackpool and Chelsea. Now, in this season, the competition carries all the way to the core of the league. It's less boring, more dramatic and just plain fun. It was an interesting conversation on twitterworld today: why doesn't the US have a Chicharito (Javier Hernandez). Someone that scores for a big-name team (Manchester United). Someone that scores for the national team (11 goals in 20 appearances). Someone that has done these things by age 22. This conversation came out of an impressive goal that opened the scoreboard for Manchester United in Premier League play today and was followed, nearly simultaneously, by Mexico-hating and Altidore-hating and the depreciation of US Soccer. But is this truly the case? US soccer journalists argued that Altidore, for example, is someone that made the jump to Europe at a very early age to one of the more successful teams in the Spanish Primera. "Jozy" Altidore set up two of the more significant goals for the USA at the World Cup (passes to Bradley versus Slovenia and Donovan (versus Algeria). He scored once in his inaugural season for Villarreal and was subsequently loaned (without playing) to Xerez (spring 2009) and then to Hull City of the Premier League for the 2009-2010 season. There, Altidore scored twice in Cup competition and once in league play. Keep in mind that Hull City was relegated the same season and that were limited in scoring opportunities. Also, at Villarreal, Altidore has to contend with Borja Valero, Rossi, Nilmar, and Jefferson Montero. He will nearly always be on the bench when paired against Rossi and Nilmar. For Chicharito, the main contenders are Berbatov, Rooney, Owen and Macheda. Owen and Rooney have been injured quite often this season and Macheda isn't as experienced as Chicharito. Hence the increased playing time. Also, Rooney can double as an attacking midfielder in a 4-3-1-2 scheme or as a center forward in a 4-3-3 scheme. But this wasn't only a comparison against Altidore, it was a comparison against the US development of strikers. Young forwards such as Kenny Cooper, Eddie Johnson, Charlie Davies, Freddy Adu haven't made a good impression in Europe or have seen their careers derailed by injuries (Cooper, Davies). Can we fault them for that? Then there's the standout stars that often score but are not taken into consideration when Chicharito Hernandez scores: Landon Donovan and Clint Dempsey. Donovan is on vacation but he's a prolific goal-scorer internationally (record-holder, possibly unbeatable in the foreseeable future) and in Europe (with Everton). Dempsey scored a goal today just a half hour or so after Hernandez' tally. "Deuce" Dempsey is likely to see a move out of Cottage Craven at this point and only the sky is the limit. Oh, and the ascent of Stuart Holden with Bolton is also impressive (2 goals this season and a Premier League best 11 of the fall 2010). Not a forward, but a goal-scorer and playmaker making a difference in the top league in the world. The future holds promise also: Agudelo, Salgado, McInerney, Luis Gil, Perry Kitchen, Bunbury and so on. Who's to say they can't have a breakout year and make the jump to Europe by the end of 2011? Who's to say they can't be selected to the Gold Cup and impress with their skills? So here's the point: Javier "Chicharito" Hernandez is an incredible player with impressive talent, but the US has experienced goal-scorers and young lads like Altidore (contender for a starting position in La Liga) and Agudelo (impressive performance with the Red Bulls and scoring in his first national team appearance). It will be USA vs Chicharito at the Gold Cup this summer and it's too early to come to conclusions.